Manama : The Bahrain Institute of Banking and Finance (BIBF) recently launched a first of its kind in the globe masterclass titled “The Convergence of the Halal Market and Islamic Capital”. 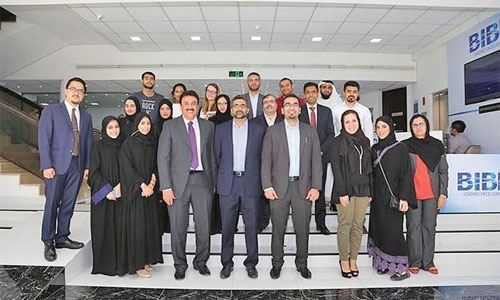 The two-day Masterclass was held in partnership with renowned United States and United Arab Emirates based intelligence and research consultancy Dinar Standard and the Waqf Fund of the Central Bank of Bahrain. It concentrated on the methodology the Islamic Finance industry which leverages the global Halal eco system Halal food, Family tourism, clothing and fashion, media and recreation, pharmaceuticals, and cosmetics, and outlines their geographic and market potential profile as a source of investment avenue to increase bottom line earnings. It offered a first-of-its-kind opportunity for the participants interested in the currently developing Halal Market as it provided a comprehensive summary of the subject with a special focus on specific areas of financing or Takaful needs and gaps of the Halal food value chain opportunities. The Bahrain Institute of Banking and Finance (BIBF) will offer the Masterclass to a wider spectrum of participants on an international scale in the upcoming year enhancing its reach beyond Bahrain and the wider GCC to the world over.